It’s a doozie! Better grab some coffee to get you through the read. A murder at the Dragon Bash has thrown lion’s Arch into Chaos! The culprits responsible for the mayhem have holed up in their hideout. Inspector Ellen Kiel spearheaded the investigation into the murder, and she’s now gathering teams of deputies to capture the perpetrator. Better sharpen your weapons and skills—this criminal promises to be a slippery eel! Attention: the skies of Tyria have turned treacherous. A new breed of pirates is descending upon Tyria! Lethal and precise, they strike from above like a bolt of lightning. The Lionguard knows little about them, but this violent faction was behind the attack on the Dragon Bash effigy ceremony and is responsible for a growing swath of murders. With help from citizens like you, we thwarted their plot to usurp a seat on the Ship’s Council, but the Lionguard will not rest. Today, all who read this are deputized to join me in discovering the Aetherblades’ secret headquarters and bringing these killers to justice. A secret entrance to an Aetherblade hideout has been discovered in Lion’s Arch behind the waterfall by the Diverse Ledges. A Lionguard is stationed outside of the entrance to easily route players to Inspector Kiel, who is gathering a squad to infiltrate the secret Aetherblade lair. This is a challenging story dungeon designed for parties of five that takes the fight to the Aetherblades. Players will encounter swarms of Aetherblade cutthroats, the devious asura engineer Frizz, and ultimately, Captain Mai Trin and her hard-hitting first mate Horrik. Heralds in all the major cities have been notified of the disturbances caused by the Aetherblade pirates. Dragon Bash continues. The Lionguard vows to protect the city during the festival, despite the Aetherblade threat. All Dragon Bash activities (except the fireworks show) will remain available until the last day of the festival. This includes, for those who haven’t played it, the single-player living story that starts with the Memorials on the Pyre instance. In honor of the release of the new Guild Wars 2 novel, Sea of Sorrows, follow the footsteps of Lion’s Arch’s founder Cobiah Marriner to a dozen locations across the city and Orr; each location contains a plaque detailing its significance to the historical figure. Talk to the NPC by the Cobiah Marriner statue for more information. For additional information, his journey can be followed in the Sea of Sorrows novel. There are widespread reports that Aetherblades are tampering with the hologram projectors across Tyria. Approach them with caution. Aetherblade pirates have been spotted guarding caches in select mini-dungeons and jumping puzzles across Tyria. Pirates have also been spotted around the Obsidian Sanctumjumping puzzle in the Mists. A new category of Sky Pirate achievements has been added covering the Aetherblade Retreat mini-dungeon and the appearance of the Aetherblade Caches. A new meta-achievement, Against the Aetherblades, has been added, which requires players to complete 12 of 20 of the previous achievements. The History Buff achievement has been added to the Explorer category for the Sea of Sorrows scavenger hunt. The Not So Secret jumping puzzle achievement will become available July 2nd and will be a permanent addition. Mortar Mastery has been added to the Ranks and Abilities tab. Increases blast radius on all skills. Reduces recharge on all mortar skills. Increases damage on all mortar skills. Launches a barrage of rounds that pushes back foes where they land. Players can now loot all creatures and loot chests dropped by creatures in a small radius with a single interact. Selecting a new “AoE Loot On Interact” option, which will use the same key binding as the “Interact” key but will only trigger the AoE Loot functionality while none of the forms of the interact dialog are visible. Creating a new key binding named “AoE Loot” under the “Miscellaneous” section of the key bindings tab on the options panel. The radius of AoE Looting is equal to that of a skill with a 900-unit range. The AoE Looting functionality can only be triggered once per second. Fuming soldiers around Foewatch will now repeat their lines in a timely manner. Phill the Fisher has grown tired of being attacked by drakes and is now retired. Other lesser-skilled fishermen have moved in to take his spot. The UI displayed during the fight between the skritt and the bandits at Plunder Hold has been cleaned up. The “Skritt to be revived” counter in the event to help Tromgi’gark and Wenski will now reset properly during repeated runs of the event. The Heart of the Terebinth now appears as a visible spirit and is a karma merchant instead of a coin merchant. The “under construction” icon from the event where players return escaped experiments to Zaxis has been removed. When attacking Foulbear Kraal, Iron Legion engineers will now defend themselves if an enemy gets too close. Watchman Brikken now has a “thank you” conversation when the player’s helped to secure Tyler’s Bivouac. The giant skelk scavenger in the Bloodfields now hates centaurs. Ulgoth the Modniir is now more aggressive about attacking ranged enemies. Fixed a silver ore node that was failing to spawn. The black crocus node that was floating above the terrain has been removed. The aetheric interrupter at the Cathedral of Zephyrs will no longer be visible before Historian Vermoth builds it. Players will no longer get stuck when using the Union Waypoint. The difficulty level of the event where players defend Quandry Scratch has been reduced when fewer participants are involved. Added some additional staging when Charice and her Seraph guard spawn and prepare the carnival caravan. Skelk in the Scaver Plateau are now hostile to Seraph guards in the region. Chloe in the Shire of Beetletun carnival will only ask players near her to participate in the Moa or Man? game rather than asking random players on the map. The largos Azzan no longer has “Veteran” displayed in front of his name. Risen mines and rotmouths in the Strait of Sacrilege will no longer be visible outside of their associated events. Ulfred’s attempt to fool the grawl has been divided into two events: collecting magical ice for him and defending him while he sculpts the ice. A more appropriate error message now appears when a player attempts to invite another player who is in too many guilds. Players who have never obtained a Tome of Influence or Black Lion Chest guild influence item will now properly see the item’s name in the guild history list instead of “ENCRYPTED_STRING”. Guild ranks displayed in the promotion context menu are now sorted by rank, rather than order of creation. Zojja now uses similar skills in dungeons that she does in personal story steps. The ghost transformation no longer locks out utility and elite skills for some medium armor characters. Additional turrets that spawn further out from the Nightmare Tree have been added. Improved the teleport effect for Tazza. Korga the Mighty’s leash range has now been reduced. Fixed an exploit where Korga the Mighty could be safely attacked from max range. Cliffside: Cultists will now respawn if the instance is reset by a party wipe. General: Fixed an issue that prevented some Risen enemies in the story from using the same animations as their open world counterparts. “Forewarned is Forearmed”: Added some safety checks to prevent the story step from stalling. “Track the Seraph”: Adjusted levels of Lionguard to make them the same as the open world and reduced the difficulty of the final abomination attack. Weakness: Changed from 50% fumble on regular attacks to 50% fumble on all attacks. Now only stacks up to 5 times (still stacks duration). Torment: Added a new condition called Torment. This does damage every second (75% of bleeding) and double damage to foes that are moving (150% of bleeding). Stacks intensity. Battle Standard, Spirit of Nature, Gathering Plague, Vortex, Morph Tuna, Time Warp, Mass Invisibility, Purifying Blast, Whirlpool, Murky Water, and Undercurrent have had their underwater aftercast reduced by 1.1 seconds. All elite player transforms (racial and profession) now have a 1-second cooldown on leaving them. This was done to prevent unintentionally leaving through double-clicking. Mistfire Wolf: This elite now has a 150-second recharge (down from 240), and can now be cast while moving. This pet’s health has been increased by 100%. White Raven, Rainbow Jellyfish, Black Moa, and Black Widow Spider have had their health updated to match the other pets of their type. Blindness: Fixed an issue that caused blind to be removed when an attack was used while not in range of any targets. Signet of Air: This skill is now a stun breaker. Increased the cooldown to 30 seconds. Lightning Flash: This skill is no longer a stun breaker. Increased damage by 50%. Reduced the cooldown to 40 seconds. Cleansing Fire: This skill is no longer a stun breaker. Decreased the recharge to 40 seconds. Gust: This skill now passes through enemies, striking multiple foes in a line. Windborne Speed: Reduced the aftercast by .2 seconds. Eruption: Reduced the cast time from 1.8 seconds to 1.2 seconds. Unsteady Ground: Increased the duration from 9 seconds to 10 seconds. Water Blast: Reduced the aftercast by .1 seconds. Increased the size of the effect to more accurately show the area healed. Geyser: Reduced the cast time from 1.1 seconds to .6 seconds. Reduced the aftercast from .25 seconds to .2 seconds. Gale: Reduced the aftercast by .4 seconds. Flamewall: Reduced the cast time from 1.1 seconds to .6 seconds. Reduced the aftercast from .25 seconds to .2 seconds. Shatterstone: Reduced the aftercast by .75 seconds. This skill now shows its cast time and cast bar correctly. Tornado: Reduced the cooldown to 150 seconds. Meteor Shower: Increased the size of the area that each meteor strikes. This ability has been optimized. As a result, no functionality has been changed, but the amount of meteor effects has been reduced. Previously, extra meteor effects that didn’t actually do any damage would play. We now only display the meteors that deal damage on impact. Magma Orb: Increased the damage by 33%. Ice Wall—Detonate: Increased the chill duration from 2 seconds to 3 seconds. Forked Lightning: Increased the damage by 33%. Electrocute: Increased the damage by 50%. Increased the recharge from 5 seconds to 12 seconds. This skill now applies 5 stacks of vulnerability for 6 seconds. Murky Water: Reduced recharge from 45 seconds to 40 seconds. Grounded: This trait has been merged with Tempest Defense. Tempest Defense: Reduced the internal cooldown from 90 seconds to 60 seconds. Damage to stunned and knocked down enemies is increased by 20%. Windborne Dagger: Movement speed in combat is increased by 15% for wielding a main-hand dagger, 10% for an off-hand dagger, with 25% total for both. Obsidian Focus: Increased toughness while channeling, from 170 at level 80 to 300 at level 80. Salt Stone: This trait has been merged with Stone Splinters. Stone Splinters: This trait has been moved to the Adept tier. It now deals 5% bonus damage to bleeding opponents and increases outgoing bleeding duration by 20%. New Grandmaster trait – Diamond Skin: 10% of total toughness is now converted into condition damage. Lava Tomb: This trait’s internal cooldown has been reduced to 10 seconds. Damage from Lava Font is increased by 33%. Damage dealt while in the downed state is increased by 33%. Persisting Flame: Updated this trait to also allow blast finishers to give fury (10 seconds) as well as might. Jump Shot: Increased the radius of the second attack from 120 units to 240 units. Jump Shot: Decreased the aftercast on this skill so that other skills can chain off of it more easily. Rocket Boots: This trait now shoots the player forward and doesn’t inhibit the player. Reduced the cooldown to 20 seconds. This trait is no longer a stun breaker. Rumble: This ability now breaks stuns. Added 1 second of stability. Static Shield: The Static Shield buff is now removed if the player cancels this skill. The buff is no longer removed when the player blocks a melee attack. The stun duration has been reduced from 2 seconds to 1 second. Blowtorch: Reduced the aftercast from .65 seconds to .4 seconds. Fixed an issue that allowed engineers to execute back-to-back heals by using the underwater transition. Elixir X: Reduced the cooldown to 105 seconds. Elixir U: Reduced the cooldown to 50 seconds. Launch Ice Mortar: Reduced the cooldown to 20 seconds. Launch Personal Battering Ram: Reduced the recharge to 15 seconds. Personal Battering Ram: Reduced the recharge to 25 seconds. Analyze: Reduced the recharge to 30 seconds. Throw Napalm: Increased the burn duration to 5 seconds. Harpoon (Harpoon Turret—Tool Belt): Decreased the cooldown to 10 seconds. Increased the damage by 25%. Surprise Shot (Rifle Turret—Tool Belt): Increased the damage by 33%. Rocket (Rocket Turret—Tool Belt): Decreased the cooldown to 30 seconds. Elixir R: This skill is no longer a stun breaker. Decreased the cooldown to 30 seconds. Slick Shoes: The effect for this skill now actually displays. Grenade Kit: This kit no longer destroys itself 6 minutes after being equipped. Net Turret: Fixed an issue where spamming Net Turret would allow it to fire the electrified net three times in a row. Acidic Coating: This trait now applies blind instead of poison to the target for 3 seconds, on a 10-second recharge. Backpack Regenerator: This trait has been reworded so that it doesn’t imply that it adds the regeneration boon. This now scales with healing power from 125 to 192 (1500 healing power). Acidic Elixirs: This trait now removes a boon when they land, in addition to dealing damage. Napalm Specialist: This trait has been moved to the Grandmaster tier. The duration of burns that the player applies has been increased by 33%. New Grandmaster trait—Modified Ammunition: Damage is increased by 2% per condition on the target, when wielding a pistol or rifle. Stabilized Armor: Reduced the damage by 20% when the player is knocked down or stunned. Always Prepared: This trait now only drops bandages when the engineer is downed (10-second cooldown). Damage while downed is increased by 25%. Packaged Stimulants: This trait now improves the effectiveness of the thrown medkit by 25%. Leg Mods: The duration of crippled, chilled, and immobilized has been reduced by 33%. Armor Mods: This trait will now grant aegis for 5 seconds when critically hit. This effect has a 25-second internal cooldown. Wrathful Strike: Increased the might duration from 3 seconds to 5 seconds. Signet of Judgment: This ability now breaks stuns. Increased the cooldown to 30 seconds. Signet of Mercy: Reduced the cooldown to 150 seconds. Bane Signet: Reduced the cooldown to 40 seconds. Purifying Blast: Fixed the skill fact damage amounts. Refraction: Decreased the cast time from 1.3 seconds to .5 seconds. Tome of Wrath: Smiter’s Boon: This trait now applies to the caster as well. Sanctuary: Fixed an issue where Consecrated Ground was also reducing the cast time of this skill. Tome of Courage: Protective Spirit: This trait now applies to the caster as well. Tome of Courage: Pacifism: Daze duration has been increased to the 3 seconds listed in the tooltip. Radiant Fire: This trait now grants a 20% bonus to burning duration, in addition to reducing the torch skill recharge by 20%. Fixed the description text to indicate the accurate recharge reduction. Glacial Heart: This trait now applies 5 seconds of chill on a critical hit with a 100% activation rate (up from 4 seconds on a 50% rate). This effect’s recharge has been reduced from 45 seconds to 30 seconds. Wrathful Spirits: This trait now increases damage dealt by spirits by 50% (up from 10%). New Tier 3 trait—Kindled Zeal: 10% of the player’s power is now converted into condition damage. Mind Spike: Reduced the base damage by 20%. This skill does an additional 50% damage to targets with no boons. Mind Stab: Reduced the aftercast by .4 seconds. Illusionary Counter: This skill damage has been reduced to 50% of what it was. It now applies 5 stacks of torment for 8 seconds. Magic Bullet: Reduced the aftercast by .2 seconds. Into the Void: This skill now has a 1-second recharge before it can be used after placing Temporal Curtain. Bleed duration for players: Reduced from 2 seconds to 1 second. Bleed duration for clones: Reduced from 2 seconds to 1 second. Feigned Surge: Increased the damage by 33%. Ineptitude: Fixed an issue that allowed this skill to be cast at infinite range. Signet of Midnight: Increased the blind duration to 5 seconds. Decreased the cooldown to 30 seconds. Illusion of Life: Fixed an issue so that Far-Reaching Manipulations no longer reduces the cast time of this skill. Blurred Frenzy: This is now evasion instead of immunity. This means it will be affected by retaliation. Increased the cooldown to 12 seconds. Signet of Illusions: Decreased the bonus hit points to clones and phantasms to 50%. Increased the phantasm base hit points by 55% in PvP and WvW. Increased the phantasm base hit points by 270% in PvE. Decreased the clone base hit points by 25% in PvP and WvW. 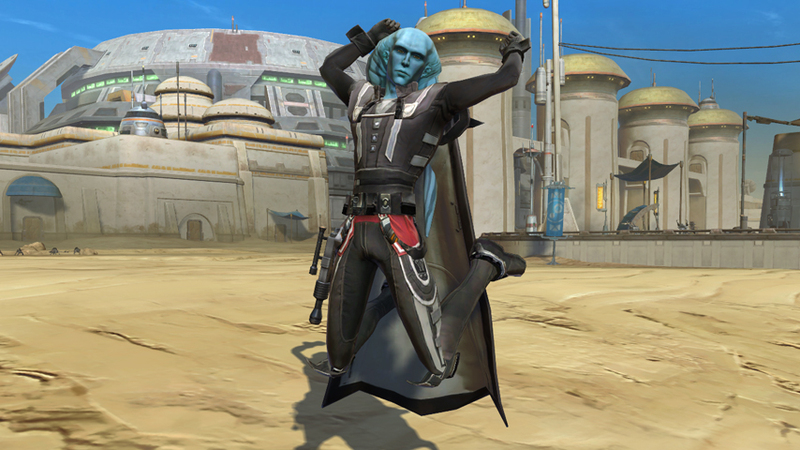 Increased the clone base hit points by 28% in PvE. Claw: This skill now jumps towards the target as it hits, and the animation was amended. Kick: This ability is now a ground-targeted leap skill that damages and cripples enemies for 3 seconds where the player lands. Decreased the recharge to 4 seconds. Peck: This ability now moves towards the target between each attack. Increased the damage by 10%. Decreased the recharge to 4 seconds. Screech: This ability now damages and weakens foes for 3 seconds in a 300 radius. Lowered the cast time to 1.5 seconds. Decreased the recharge to 4 seconds. Flee: Smoothed the animation and reduced the aftercast. Chomp: This ability now cripples for 3 seconds. Frenzy: Increased the damage by 10%. Phantasmal Berserker: Fixed an issue that was causing the damage from this summoned phantasm to not display. Updated the berserker’s attack to make it more reliably hit a static target with all 4 of the attacks. Chaotic Interruption: This trait has been moved to the Grandmaster tier. This ability now immobilizes the player’s target and randomly applies blind, cripple, or chill. Protected Mantras: This trait now grants up to 400 toughness while channeling (up from 250). Vengeful Images: This trait now only applies retaliation for 5 seconds when they are created and does not persist after that. Imbued Diversion: This trait now allows Diversion to daze 5 targets (up from 3). In addition, the daze radius has been increased to 360 (up from 240). Illusionary Retribution: Moved to the Adept Minor trait. Shattered Strength: Moved to the Master Minor trait. Illusionists Celerity: Moved to the Grandmaster Minor trait. Shattered Conditions: This trait now removes one condition from all allies around the mesmer. Putrid Curse: Increased the poison duration from 2 seconds to 4 seconds. Necrotic Bite: Increased the life force gain from 4 to 6. Spectral Wall: Normalized the amount of protection gained to 5 seconds for allies. Replaced the vulnerability with a 1-second fear when enemies try to cross the wall. Added 4% life force gain on hit. Increased the recharge to 45 seconds. Reduced the base duration to 5 seconds and 7.5 seconds while traited with Spectral Attunement. Well of Power: This ability now breaks stuns. Added 1 second of stability. Reduced the cooldown to 50 seconds. Well of Corruption: Reduced the cooldown to 40 seconds. Well of Darkness: Reduced the cooldown to 50 seconds. Well of Suffering: Reduced the cooldown to 35 seconds. Spectral Armor: Reduced the recharge to 60 seconds. Signet of Spite: Now applies 2 stacks of bleeding for 10 seconds, blind for 5 seconds, cripple for 10 seconds, poison for 10 seconds, 5 stacks of vulnerability for 10 seconds, and weakness for 10 seconds. Reduced the recharge to 60 seconds. Signet of Undeath: Increased the cast time to 3 seconds. Locust Swarm: Increased the radius to 210. Increased the animation size to better reflect its attack area. Necrotic Grasp: Increased the projectile velocity by 10%. Chillblains: This ability now has the appropriate cast time when traited with greater marks. Deathly Swarm: Increased the projectile velocity by 30%. Crimson Tide: The bleed duration has been increased from 5 seconds to 6 seconds. Deadly Catch: The cripple duration has been increased from 3 seconds to 6 seconds. Wicked Spiral: The vulnerability duration has been increased from 6 seconds to 10 seconds per hit. Deadly Feast: The duration of feast has been increased from 6 seconds to 8 seconds. Death Shroud: Bone Fiend and Shadow Fiend now regenerate outside of combat. New ability #5 – Tainted Shackles: This skill tethers all enemies within a 600 range, constantly dealing torment to them over time. At the end of the cast, Dark Binding immobilizes all affected enemies still within the radius. Life Blast: This skill now scales based on range instead of amount of life force. At more than 600 units, this skill’s low value has been increased by 43%; at less than 600 units, this skill uses the old high value. Range has been increased to 1200. Doom: This skill now scales based on range. If more than 600 units, it will apply 1 second of fear; If less than 600 units, it will apply 1.5 seconds of fear. This ability now lists the damage it deals to enemy targets. Life Blast (Underwater): Decreased the cast time and reduced the aftercast. Ghastly Claws: Increased the life force gain from 8 to 10. Feast of Corruption: Increased the life force gain from 2/condition to 3/condition. Necrotic Grasp: Increased the life force gain from 3 to 4. Shadow Fiend Haunt: Increased the blind duration to 5 seconds. Dark Path: Fixed an issue where the chill duration did not match the tooltip. Reaper’s Touch: Fixed an issue so that it now applies the vulnerability before the damage. Updated the tooltip to state the correct amount of vulnerability. Vampiric: This trait now scales up 6 additional points with power for its damage and healing for its healing per attack. Withering Precision: This trait now applies 5 seconds of weakness on critical hits. This effect can only occur once every 20 seconds. Terror: This trait has been moved to the Master tier. Focused Rituals: This trait has been moved to the Adept tier. Death Shiver: Vulnerability applied every 3 seconds while in Death Shroud has been increased to 3 stacks for 10 seconds (up from 1 stack). Death Nova: Minions now deal damage when Death Nova is triggered. Near to Death: This trait has been moved to the Master tier. This trait now reduces the cooldown by 30% instead of 50%. New Grandmaster trait—Deathly Perception: Players have a 50% greater critical chance while in Death Shroud. New Grandmaster trait—Dhuumfire: Players can inflict burning to opponents for 4 seconds on critical hit. This effect can only occur once every 10 seconds. Splitblade: Reduced the aftercast from .4 seconds to .2 seconds. Pet leash range increased to 2000 units. Path of Scars: This skill now pulls enemies on the return flight. Long Range Shot: Reduced the aftercast from .5 seconds to .25 seconds. Increased the arrow speed by 15%. Rapid Fire: Reduced the initial cast time by .4 seconds. Increased the arrow speed by 15%. Point Blank Shot: Increased the arrow speed by 15%. Barrage: Increased the cripple duration by 50%. Stalker’s Strike: This skill no longer loses evade duration when traited with Off-Hand Training. It now strikes targets more reliably in melee. It now functions with Off-Hand Training in PvE. Crippling Talon: This skill now functions with Off-Hand Training in PvE. Muddy Terrain: Decreased the duration from 20 seconds to 10 seconds. Increased the cripple duration per pulse from 1 second to 2 seconds. Decreased the cooldown from 30 seconds to 25 seconds. Lightning Reflexes: The travel distance for this skill has been halved when underwater. Man O’ War: The base recharge has been increased from 18 to 25. Counterstrike: The base recharge has been increased from 15 to 20. Swirling Strike: Increased damage by 33%. Crossfire: Decreased the range to 900. Poison Volley: Decreased the range to 900. Quick Shot: Decreased the range to 900. Increased the damage by 14%. Crippling Shot: Decreased the range to 900. Increased the damage by 14%. Concussion Shot: Decreased the range to 900. Increased the damage by 14%. Reduced the aftercast by .25 seconds. Spirit-activated skill range increased from 180 to 240 (360 when traited). Call Lightning: Increased the damage by 150%. Solar Flare: Decreased the cast time from 1.7 seconds to .5 seconds. Counterstrike: Fixed an issue with this ability that caused it to go on interrupt recharge when pressed twice rapidly to use Counter Throw. Thunderclap (Downed Skill 2): Fixed an issue that caused this ability to have infinite range. Winter’s Bite:. Fixed an issue so that it now chills for 3 seconds (as listed in the tooltip) instead of 2 seconds. Armor Fish: Bite: Reduced the damage by 50%. Bird: Slash: Increased the damage by 15%. Eagle: Lacerating Slash: Reduced the damage by 50%. Raven: Blinding Slash: Reduced the damage by 34%. Canine: Bite: Reduced the damage by 27%. Devourer: Twin Darts: Reduced the damage by 20%. Drake: Bite: Reduced the damage by 27%. Insect Swarm: This skill can no longer fire behind the drake. Drake: Lightning Breath: Reduced the damage by 17%. Feline: Maul: Reduced the damage by 50%. Jellyfish: Tentacle Slash: Increased the damage by 50%. Jellyfish Blue: Chilling Whirl: Decreased the damage by 33%. Moa: Peck: Reduced the damage by 7%. Pig: Jab: Reduced the damage by 25%. Shark: Bite: Increased the damage by 10%. Spider: Spit: Increased the damage by 10%. Instinctual Bond: This trait has been swapped with Zephyr’s Speed. Quickness has been increased to 3 seconds. Stability Training: This trait now causes the pet to ignore the incoming crowd control skill as well as granting stability. This has a 10-second internal recharge. Keen Edge: This trait now activates when the player strikes a target whose health is below 50%, instead of when the player’s health reaches 75%. Beastmaster’s Might: This trait now grants 3 stacks of might for 15 seconds. New Grandmaster trait—Nature’s Voice: Shouts apply 10 seconds of regeneration and swiftness to allies in a 360 radius. Companion’s Might: This trait now grants 5 seconds of might to the player’s pet (up from 1 second). Peak Strength: Damage bonus when the player’s health is above 90% has been increased from 5% to 10%. Healer’s Celerity: This trait now increases revive speed by 10%. Swiftness granted on revival has been increased from 3 seconds to 15 seconds. Lotus Strike: Increased the poison duration from 2 seconds to 4 seconds. Shadow Trap: Increased the recharge to 45 seconds. Destroy Shadow Trap: This ability now teleports the thief back to the trap location when it is destroyed. Added range skill facts. This skill now breaks stuns. Using this skill puts Shadow Trap on recharge. Shadow Pursuit: This ability now grants fury and 10 stacks of might for 5 seconds along with stealth when used to teleport to the enemy who triggered Shadow Trap. This ability now breaks stuns. Using this skill puts Shadow Trap on recharge. Death Blossom: This trait now costs 4 initiative. Body Shot: Reduced the aftercast by .4 seconds. Decreased the vulnerability duration to 3 seconds. Increased to 10 stacks for vulnerability. Pistol Whip: Decreased the time between the stun and the sword flurry. Scorpion Wire: Decreased the aftercast by .2 seconds. Reduced the cooldown to 20 seconds. Steal: Reduced the recharge to 35 seconds. Cluster Bomb: Decreased the range set from 1200 to 900. Larcenous Strike: Increased the initiative cost to 2. Nine Tailed Strike: Increased the initiative cost from 3 to 5. Shadow Assault: Increased the initiative cost from 5 to 7. The Ripper: Increased the bleed duration from 5 seconds to 7 seconds. Deadly Strike:. Increased the damage from 1 to 1.2. Dancing Dagger: Reduced the initiative cost to 3. Withdraw: The travel distance underwater has been cut in half to match the land distance. Assassin’s Retreat: This trait now grants 10 seconds of swiftness when players kill a foe. This effect has a 5-second internal cooldown. Pain Response: Reduced the cooldown from 45 seconds to 30 seconds. Hard to Catch: Reduced the cooldown from 60 seconds to 30 seconds. 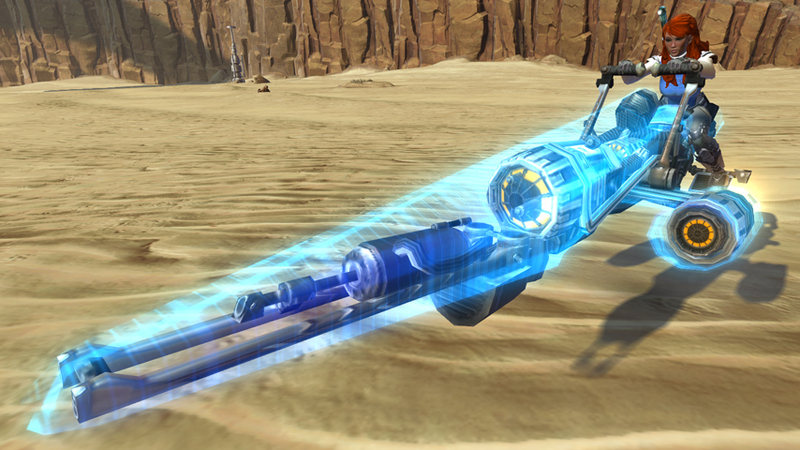 Furious Retaliation: This trait now grants 10 seconds of fury when striking a target whose health is below 50%. This effect can only occur once every 30 seconds. Signets of Power: The 5 stacks of might that this trait grants have been increased to 10 seconds. Corrosive Traps: This trait now grants 5 stacks of vulnerability for 8 seconds (up from 5 seconds). Panic Strike: Reduced the cooldown from 60 seconds to 30 seconds. Lotus Poison: Increased the weakness duration to 4 seconds, but it can only apply once every 20 seconds per target. Last Refuge: Reduced the cooldown of this trait from 90 seconds to 60 seconds. Slowed Pulse: The effect of this trait now occurs if the player has 2 or more stacks of bleeding. Shadow Protector: This trait has been changed to apply 10 seconds of regeneration when the players stealth them. This effect will not occur if the ally already has regeneration on them. Merciful Ambush: This trait now grants 2 seconds of stealth to players and their allies when beginning a revive. Long Reach: This trait now increases the range of Steal to 1500 (up from 1200). Sleight of Hand: In addition to dazing the player’s target, this trait now reduces the recharge of Steal by an additional 20%. Instinctual Response: This trait now properly blinds enemies struck by the feathers. Increased the radius from 120 to 180. Bountiful Theft: This trait will now trigger before Sleight of Hand. Tremor: Increased the projectile velocity by 33%. Axe Chain: Moved the damage more toward the end of the chain without reducing overall DPS. Chop: Reduced the damage by 9%. Double Chop: Reduced the damage by 12%. Triple Chop: Reduced the damage of the first two hits by 20%. Increased the damage on the final hit by 75%. Final Thrust: This skill has been moved to slot #3. Now it does more damage and extra damage versus foes whose health is below 50%. Hamstring: This skill has been moved to the end of the skill chain. Reduced the cripple duration to 1 second. Savage Leap: This skill now applies 3 seconds of cripple. Skull Crack: Increased the stun duration from 1, 1.5, 2 to 1, 2, 3. Increased the damage by 50%. Endure Pain: Reduced the recharge from 90 seconds to 60 seconds. Stomp: This ability now breaks stuns. Added 1 second of stability. Reduced the cooldown to 45 seconds. Throw Bolas: Reduced the aftercast by .3 seconds. Berserker’s Stance: Increased the recharge to 60 seconds. Reduced the duration to 4 seconds. This stance now reduces incoming condition duration by 100%, so only modified conditions can get through. Balanced Stance: This now also applies swiftness. Dual Strike: Reduced the aftercast from .5 seconds to .25 seconds. Whirling Axe: Reduced the aftercast by .2 seconds. Rush: Reduced the aftercast by .2 seconds. The transition between the run and swing portion has been smoothed out for hitting moving targets. Brutal Shot: Reduced the aftercast by .3 seconds. Rampage: Reduced the cooldown to 150 seconds. Brutal Shot: This skill now adds 5 stacks of vulnerability (up from 1). The duration of vulnerability applied changed from 15 seconds to 5 seconds. Knot Shot: Reduced the recharge from 25 seconds to 15 seconds. Untraited Longbow: Increased the range from 900 to 1000. Riposte: When players block an attack from range, it no longer cancels the blocking. Whirling Axe: Increased the damage by 50% in PvP only. “Fear Me!”: Reduced the recharge to 60 seconds. Furious Speed: Players gain 10 seconds of swiftness on critical hits. This effect can only occur once every 15 seconds. Opportunist: This trait grants 10 seconds of fury when players immobilize a target. This effect can only occur once every 10 seconds. Last Chance: Reduced the recharge to 45 seconds (down from 60 seconds). Defy Pain: Reduced the cooldown of this trait from 90 seconds to 60 seconds. This trait will now have a 4-second duration, 5 seconds when traited with Sure-Footed. Vigorous Return: This trait now grants an additional 100% endurance when players rally. Sundering Mace: Fixed an issue causing this trait to apply weakness on mace critical strikes. Embrace the Pain: This trait has been merged with a new Master tier trait, Cleansing Ire. Cleansing Ire: New Master tier trait with the following effects: Gain adrenaline when hit. Remove a condition for every bar of adrenaline spent. Shield Master: This trait has been moved to the Adept tier. Burst Recharge: The Discipline trait line no longer improves burst damage. It now decreases burst cooldown by 1% per point in Discipline. Warrior’s Sprint: Increased the movement speed from 10% to 25%. Sharpened Axes: Reduced the axe skills by 20% in addition to increasing adrenaline with axe critical hits. Vigorous Focus: This trait has been moved to the Adept tier. Heightened Focus: This trait has been moved to the Grandmaster tier and grants 5%, 10%, and 15% critical chance based on adrenaline level. Burst Mastery: This no longer reduces burst cooldown. It now increases burst damage by 10%. Berserker’s Power: This trait has been moved to the Grandmaster tier. Damage bonus has been increased to 5%, 10%, and 15% based on adrenaline level. Berserker’s Might: This trait now passively builds 2 strikes of adrenaline every 3 seconds, while the players are in combat. Desperate Power: Increased the threshold of this trait, dealing 20% additional damage while the player is below 50% health instead of below 25%. Fixed an issue where PvP Apprentice and Chainmail items would salvage into PvE materials. Added the Rawhide Armor set to the Deer rank chests. Updated several spectator camera locations, in various maps. Updated kill notifications to show defeats and used brighter team colors. Spectators can reliably use the Escape menu now. Mesmers can no longer create clones of siege golems. The buff Guard Leech, acquired from rank 10 of Guard Killer, now adds 20 power and 20 condition damage per stack. Supply caravan ambushes now provide 10 WXP when killed. Omega Siege Golems now correctly require 150 supply to be built. Cannon skills now show the correct skill facts when upgraded via Cannon Mastery. Ballista skills now show the correct skill facts when upgraded via Ballista Mastery. The Outmanned buff is now hidden from enemies. Superior siege weapons now correctly indicate the damage from their skills in their skill facts. Aetherblade Armor Skins have been added to the Gem Store in the Style category for 800 gems each. Light, medium, and heavy versions, each with their own unique design, are available. Please remember that each class can only equip one armor weight and to check the character’s armor class before purchasing. The new Plush Tybalt Backpack Cover can now be obtained through the Black Lion Chest. This adorable backpack cover is modeled after the character Tybalt and can be applied to any backpack. Players can open Black Lion Chests using the Black Lion Chest Key found in the Gem Store under the Consumable category. Now players can start their own custom PvP arena with the Custom Arena Starter Kit available in the Gem Store in the Services category for 1600 gems each. Each Custom Arena Starter Kit contains one arena and 30 days of active time. Anyone can add additional time to the arena with the Custom Arena Time Token, which is also available in the Services category in packages of 5 for 150 gems or 20 for 480 gems. Most items in the Gem Store are now available to be purchased as a gift. Gifting allows players to purchase an item with gems but have it delivered to one of their friends. Simply select the orange gift box icon next to the price of the gift item and follow the on-screen instructions. The drop chances in the Black Lion Chest have been adjusted so there is a greater chance to receive a plush backpack cover item with each key. However, backpack covers are still a rare drop from the Black Lion Chest. Fixed a bug with Rich Dragon Coffers where recipes were not included in the drop table. There is now a rare chance to receive the Dragon’s Revelry Starcake recipe. Dragon’s Revelry Starcakes give a 30 minute buff to all armor stats, Magic Find, and experience from kills. All players that purchased a Rich Dragon Coffer before the fix above was added will receive 1 Dragon’s Revelry Starcake recipe via in game mail as compensation. This compensation is scheduled to be delivered in a few days. Despite not having downtime tonight, Rockjaw’s post does outline all of the patch changes they introduced today, including the awesome addition of Supergroups (a.k.a. “Guilds”). This is a major addition to the game (surprised this wasn’t in at launch) and will definitely help facilitate more socialization as the only way to repeat chat is to fill up your friend list. Unfortunately, Supergroups are limited to 100 characters (thought that’s actual accounts as “alts” are just hero swaps on the same account). The other big changes are to defense (primarily to help tanks nearing endgame) and a very, very long list of hero balancing. In all, very needed and it’s great to see them keeping up with those fixes since launch. Be warned, this was a full two-post post on the official forums, so be prepared to scroll! Supergroups (AKA guilds) are now available in Marvel Heroes. This is the first iteration of supergroups, with more features coming in the future. To create a supergroup, purchase a supergroup sanction from War Machine in Avengers Tower. A supergroup is a way to create a persistent social group with other players. Most supergroup commands are currently accessed via / commands with the ‘guild’ prefix – this will be updated in the future. Supergroup names may only contain the letters A-Z, one apostrophe, one hyphen, and have a limited number of spaces. Certain words are restricted from use in supergroup names. Supergroups are limited to 100 members in total. Upon creating a supergroup you will gain access to a supergroup chat channel for your supergroup. To access it, type /guild or /g in the chat channel. /guildcreate – Create your supergroup. You can only create one supergroup per account. /guildpromote [username] – As a leader or office, promote a member of your supergroup to the rank of officer. Officers can invite other players to join the supergroup. /guilddemote [username] – As a leader or officer, demote an officer of your supergroup to the rank of member, or remove a member from the supergroup. /guildleader – This command is currently non-functional, but will eventually allow a supergroup leader to be changed. /guildrename [supergroup name] – Rename your supergroup. All guild renames are logged for Customer Support purposes. /guildleave – Leave your current supergroup. The overall chance for heroes to drop as loot throughout Marvel Heroes has been increased. The highest chance to get heroes or costumes is from Survival Challenge endgame bosses, who have a significantly higher drop rate. You also will have a better chance of getting heroes and costumes as drops from enemies that have a green or orange ‘threat level’ (see the nameplate above an enemy’s head to check). Green-level enemies will be slightly below or slightly above your hero’s level; orange level enemies will be even further above your hero’s level. Endgame bosses now have a bonus chance to drop a hero token for the character you are currently playing, in addition to a random hero token. These can be used to upgrade your Ultimate Power. We’ve heard community feedback on defense, and have begun making changes with this patch. Defense has not been helping tanks enough, especially against higher level content. With this patch we are improving defense for all heroes, but heroes that do not have dodge and/or do not have any ranged attacks will benefit more from the change. Defense has been increased on items for all heroes by +30%. Defense on items for Deadpool, Wolverine, Captain America, Iron Man, Ms Marvel and Thor has been doubled (x2). Defense on items for Thing, Hulk and Colossus has been quadrupled (x4). Defense on artifacts and medals has been significantly increased. In an effort to make it clearer that additional S.T.A.S.H. tabs cost Gs, the size of the G symbol and button have been increased to make them more readable. Administrative announcements (talking about game servers going offline, for the most part) have been made more noticeable in chat. S.H.I.E.L.D. Motion Tracker: The bonus damage given by this artifact has been slightly reduced. Tombstone Medal/Medallion: Armor bonus has been increased. Added health bonus. The overall range at which players get experience from enemies has been increased. Auto-Party is now turned on for Green Daily Missions if you have auto-party enabled in your Options (it is on by default). Cosmic Cube Shards now drop once per boss, per day, per account. ’Base’ costumes (which are equipped on a character when they are purchased) will no longer drop as loot in the game. Magneto: Magnetic Blast – damage reduced. Magneto: Metal Storm – damage reduced. Maggia Gangsters now attack faster. Maggia Thugs now attack faster. Chapter 1, Hell’s Kitchen: The number of enemies you must defeat in the ‘Save the Police’ and ‘Arson’ Discovery missions has been reduced. However, all enemies are now elite. Chapter 2, Jersey Docks: The number of A.I.M. robots you must defeat in the ‘Unfriendly Cargo’ event has been reduced. However, all robots are now elite. Cable’s statistics progression has been updated. Bold Aura: Now gains an increased effect from other aura powers. Concussion Blast: Now gains duration synergy from Vortex Grenade. Devastating Beam: Increased damage. Increased cost from 20 to 25. Dynamic Aura: Now gains an increased effect from other aura powers. Eye For Weakness: Reduced cost from 17 to 15. Kinetic Repulsion: Now gains duration synergy from Telekinetic Shield and Psychokinetic Barrier. Psychic Trap: Reduced cost from 40 to 36. Psychokinetic Barrier: Reduced damage. Now gains duration synergy from Kinetic Repulsion and Telekinetic Shield. Reduced cost from 30 to 27. Now unlocks at level 8. Quick Bodyslide: Slightly increased starting range. Reduced cost from 25 to 21. Telekinetic Shield: Now gains duration synergy from Kinetic Repulsion and Psychokinetic Barrier. Now unlocks at level 18. Vigilant Aura: Now gains an increased effect from other aura powers. Slightly increased cost reduction scaling with ranks. Vortex Grenade: Now gains duration synergy from Concussion Blast. Battle Aura: Now gains an increased effect from other aura powers. Bulwark of Steel: Now gains defense synergy from Metallic Warrior. Colossal Punch: Lowered damage synergy from Crushing Smite and Osmium Champion from 2.5% to 2%. Crushing Smite: Lowered damage synergy from Colossal Punch and Osmium Champion from 2.5% to 2%. Metallic Warrior: Now gains damage synergy from Bulwark of Steel. Osmium Champion: Now gains duration synergy from Crushing Smite and Colossal Punch. Osmium Charge: Lowered damage synergy from Steel Splash and Spinning Fists from 2.5% to 2%. Osmium Punch: Lowered damage synergy from other basic powers from 2.5% to 2%. Protective Aura: Now gains an increased effect from other aura powers. Reeling Punch: Lowered damage synergy from other basic powers from 2.5% to 2%. Spinning Fists: Lowered damage synergy from Steel Splash and Osmium Charge from 2.5% to 2%. Stalwart Aura: Now gains an increased effect from other aura powers. Steel Punch: Lowered damage synergy from other basic powers from 2.5% to 2%. Steel Splash: Lowered damage synergy from Spinning Fists and Osmium Charge from 2.5% to 2%. Sustaining Aura: Now gains an increased effect from other aura powers. Slightly increased regen scaling with ranks. Shoot All the Bullets: Now properly deals extra damage with synergy. Meteor Strike (Ultimate Power): Now costs 25 spirit. Bolstering Aura: Now gains an increased effect from other aura powers. Dark Phoenix Wrath: Explosion now hits full 360 around the player and causes enemies to burn, taking damage over time. Also grants +2 bonus ranks in all powers at power rank 1. Kinetic Bolt: Slightly increased projectile speed. Kinetic Tempest: Now gains duration synergy from Kinetic Wave and Psychokinetic Implosion. Kinetic Wave: Lowered damage synergy from Psychokinetic Implosion and Kinetic Tempest from 2.5% to 2%. Kinetic Wave: Slightly increased area size. Mind Crush: slightly increased starting damage. lowered damage synergy from Psychic Lethargy and Neural Panic from 2.5% to 2%. Decreased cost from 25 to 21. Neural Panic: Now gains duration synergy from Psychic Lethargy and Mind Crush. Now unlocks at level 22. Phoenix Transformation: Phoenix Force no longer depletes on defeat. Psychic Hammer: Slightly increased projectile speed. Psychic Lethargy: Now deals damage over time instead of making enemies more vulnerable to damage. Now gains damage synergy from Mind Crush and Neural Panic. Increased cost from 13 to 20. Psychokinetic Implosion: Reduced cost from 33 to 31. Lowered damage synergy from Kinetic Wave and Kinetic Tempest from 2.5% to 2%. Now unlocks at level 14. Reinforcing Aura: Now gains an increased effect from other aura powers. Now unlocks at level 18. Rejuvenating Aura: Now gains an increased effect from other aura powers. Slightly increased regeneration scaling with ranks. Telekinetic Flight: Now unlocks at level 20. Telepathic Detection: Now also adds bonus damage to all Mental powers when not in Phoenix Form. Now unlocks at level 12. Big Flarkin’ Gun: Increased tick rate. Fixed a bug that caused the power to tick more often per second than intended. Spider-Man’s fighting and strength statistics progression has been updated. Corrosive Web Fluid: Now gains duration synergy from Web Spray. Evasive Websling: Now gains duration synergy from Sensational Escape. Sensational Escape: Now gains duration synergy from Evasive Websling. Web Spray: Now gains duration synergy from Corrosive Web Fluid. Storm’s fighting statistic progression has been updated. Sirocco Rush: Now gains stun duration synergy from Lightning Rush. Thundering Tempest: Screen darkening effect now only occurs on Storm player’s screen. The Red Daily Mission against Doctor Doom now spawns and completes correctly. Moondragon, Rogue and Invisible Woman will now accept Cosmic Cube Shards in exchange for Fortune Cards. Rhino will no longer have a sliver of infinite health in PvE endgame modes. The Red Daily Mission Terminal now correctly takes you to Hydra Island. The Green Daily Mission Terminal on the S.H.I.E.L.D. Helicarrier will no longer deposit you outside the boss room. Only missions that require Cosmic Keys should have the ‘Requires item: Cosmic Key’ tooltip displayed now. Elite (Blue/Yellow) enemies now have their correct, as designed, health. Enemies will no longer attack summoned crafters and vendors. Fixed an issue where enemies would switch targets unnecessarily. Fixed an issue where affixes prevented some enemies from using their normal powers. The ‘Freezing’ enemy affix’s effects no longer fire prematurely during certain powers. Fixed some enemies that spawned within an area of effect not being affected until they left the AoE’s radius and returned. Bullseye: Fixed an issue where Marked for Death could still target entities summoned by players. Doctor Doom: Fixed an issue where he would become invisible and untargetable. Doctor Doom: Fixed an issue where ricocheting shots would not work in his final battle. Doctor Doom: Fixed an issue with medal and medallion that was allowing an inaccurately long duration increase on heroes’ powers. Mr Sinister: Energy storm power now correctly does damage repeatedly throughout its duration. Shocker: Fixed an issue where Shocker would switch targets too frequently. Venom: Fixed an issue where Venom would leave battles early. Black Panther’s Savage Strike, Black Widow’s Elusive Kick, and Daredevil’s Evasive Kick can no longer knock turrets (and certain other resistant enemies) into the air. Tumbling powers such as Black Widows Tumbling Assault and Spider-Man’s Agile Attack will more accurately place you behind targets. Cable: Fixed a visual bug with new duration synergies on Kinetic Repulsion. Cable: Fixed an issue with Plasma Barrage that caused the damage synergy to not apply. Cable: Fixed an issue with Psychic Haze that caused the damage synergy to not apply. Cable: Removed the ‘Fighting Power’ keyword from Veteran Warrior as it was confusing on a passive power. Cable: Removed the fire rate tooltip on Vortex Grenade’s tooltip, as the cooldown on the power made it confusing. Captain America: Buffs from Fighting Spirit no longer stack from other players using the same power in the same area. Captain America: Fixed an issue with Quick Block which could make Cap invulnerable when repeatedly using the power. Captain America: Shield Bounce and other bouncing powers should no longer target invisible entities in Doctor Doom’s battle area. Captain America: Shield Swipe can no longer be used while shield is thrown. Colossus: Fixed an issue with Stalwart Aura where the knock resistance was not being correctly calculated. Colossus: Osmium Punch no longer disables spirit regeneration when used. Hawkeye: Ronin Assault (24) and Ronin Lunge (30) should now unlock at the intended levels. Iron Man: Fixed an issue with Reflective Shield where the tooltip did not display the percentage of damage reflected. Jean Grey: Fixed a minor animation hitch when repeatedly using Psychic Lethargy. Jean Grey: Interplay voiceover will now trigger correctly. Punisher: Movement is no longer interrupted when he gains Vengeance. Rocket Raccoon: Clarified duration tooltip on Burrow. Rocket Raccoon: Increased the tick rate of Big Flarkin’ Gun. Fixed an issue that caused the power to tick more often per second than intended. Spider-Man: Clarified description on Stick Around to indicate that the enemies need to be currently under the effect of a web power to be stunned. Spider-Man: Fixed an issue where bonus damage was not being applied to Amazing Smash. Added missing cooldown tooltip. Spider-Man: Fixed an issue with Web ‘Em All that caused the damage synergy to not apply. Spider-Man: Fixed an issue with Web Spray where the slow effect would fall off early when the ground webs disappeared. Thing: Fixed an issue with Jagged Defender where the tooltip did not display the percentage of damage reflected. Wolverine: Adrenaline Rush should now display the standard haste trail VFX for the duration of the buff. Some artifacts with visual effects were not allowed in crafting recipes that wanted an artifact with visuals. This has been fixed. Clarified effect of Transfer Costume Affixes recipe – destination costume loses existing affixes. Clarified effect of Transform Epic Item recipe – can’t use it on items already useable by your hero. Hero tokens can now be stored in the appropriate S.T.A.S.H. tab for that hero, if that tab has been purchased. Fixed an issue where /reply in chat was behaving strangely in some circumstances. Fixed an issue that caused Storm’s powers to be too transparent when graphics settings were set to ‘low’. Toggled powers that are slotted in the left/right mouse button slots will now show their toggle state properly. Certain Iron Man costumes in lower graphic settings will no longer show incorrect thruster VFX while flying. Base defense values (white text) including bonuses given by defense affixes will now display correctly in item tooltips. Fixed an issue where players have completed missions, but they show the “in progress” stripes in the mission log, not the expected “completed” check mark. Fixed an issue with the ‘Show Party Member Arrows’ option. When turned on, this will now correctly show arrows for all party members in your zone. Fixed an issue where newly added entries in the Social Panel would take a long time to show up. Items for sale at a Vendor which cannot fit their entire name in the list will now be truncated with a “…”. The full name is always visible in the tooltip. Clea’s door now has a minimap icon. Correct VFX/SFX will now play when gaining a Boost buff from a Fortune Card. When switching between characters your character sheet will now show the correct equipment for the character. Keybindings should now persist between patches. Cancelling out of the keybindings menu with pending changes will now cancel all changes. Changing an existing keybinding will now be properly displayed. Marvel Heroes will now correctly refuse to run on all graphics cards that don’t fully support Shader Model 3.0. Previously, the game was trying to run on these cards and crashing. Bodysliders will now immediately be usable after their cooldown expires. Rested experience will now be deducted correctly. Fixed an issue that could cause Retcon Devices to fail to refund mission-awarded Power Points until you next logged in to the game. Many fixes for erroneous collisions when flying over environmental objects. Items that increase the duration of powers now do not affect consumables. When being revived in Hydra Island, you will now appear in the correct location. Players can no longer use flight to leave the level in the Subway. Artifact Yukio’s Charm now boosts melee attacks instead of ranged attacks. EDIT: Strike that; reverse it. Now correct. Fixed an issue that made the travel confirmation dialog from NPCs stay on-screen forever. Fixed an issue that caused players to be stuck ‘behind the world’ in Mutate Caves. French and German localization is almost, but not entirely complete; some English text may be found. The Red Terminal instance for “Abandoned Subway” in the Helicarrier will send you back to Avengers Tower Prologue and eat your Cosmic Key. Store icon for Spider-Man displays an incorrect costume; Spider-Man comes equipped with his Modern costume, not the Classic costume shown. Powers that deal damage over time currently cannot score critical hits. After being defeated by Pyro, there is a chance that players will be brought back to Xavier’s School rather than the beginning of the instance where Pyro is found. Cars may not respawn in city environments. Sound may be lost intermittently after changing locations. Find Agent Baker: Agent Baker does not spawn, so mission cannot be completed. Some ‘Discovery’ missions may not trigger correctly. The Army Base sewer Treasure Room has no Treasure Chest. Some of the Missile Silo Treasure Rooms have no enemies. Some versions of the Cliffwalker Shrine Treasure Rooms have no enemies. Red Mission Arrows do not trigger until getting extremely close to the appropriate mission objective. When buying Gs, the United States state selection list cannot be scrolled past ‘Tennessee’ without using the keyboard. o Green Daily – Castle Doom – Mini Map appears to be unpopulated and shows nothing. o Red Daily – Abandoned Subway – Shocker’s AI intermittently stops working. He won’t attack, but he’ll turn to face you. o Green Daily – Castle Doom – Doctor Doom’s number of affixes change depending on his form rather than staying constant as intended. Limbo: If Sabretooth spawns as the end boss in Limbo, he sometimes stops moving and attacking half way through the battle. Limbo: Players may sometimes be placed upon entry you in an instance that’s almost completed, toward the end of the waves or at the boss. Phoenix Feather: There is no UI indication on cooldown timer. Vita-Ray Projector: There is no dodge chance bonus given on critical hit. Darkhold Scroll: Does not give bonus damage versus taunted enemy. Latverian Regalia: Pets do not do extra damage when artifact is equipped, as intended. Green Goblin Medal: Green Goblin Medal poison cloud is invisible. Some emotes are not working for Cable and Deadpool. Flight powers can get locked when flying over food trucks. Acrobatic Assault: This power can miss if the enemy is running towards you. Some gear icons are black silhouettes – gear can still be equipped. Aggressive Shout: The power has both a 10 second buff and an ongoing (lasts until turned off) buff. Only one of them is shown. Invigorating Shout: The power has a 10-second buff and an ongoing (lasts until turned off) effect, but it does not show either of them. Health regeneration does not show up on character sheet. Searing Shot: Visual Effects when hitting enemy are not seen. Lingering Boon: Tooltip is incorrect. Each rank actually extends aura duration by 2 seconds. 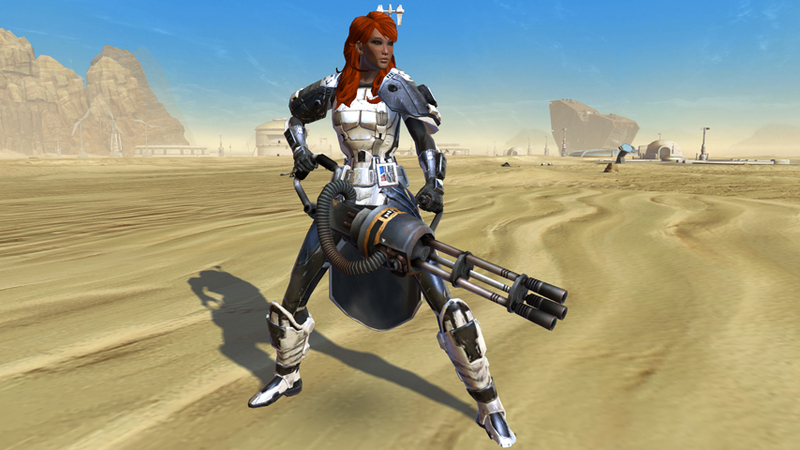 Forceful Shot: Power unlocks at level 12 and should unlock at level 10. Tactical Destruction: Tooltip does not correctly display bonus damage from shield cost. Evasive Websling: If there is no enemy targeted, power will land in incorrect location. Regeneration Boost: Tooltip is incorrect. Power does not spend Fury to gain health faster as described. Smell Weakness: Damage vulnerability is causing the enemy to take less damage rather than more. Character sheet does not reflect health regeneration from Healing Factor (but displays resistances from passive powers).